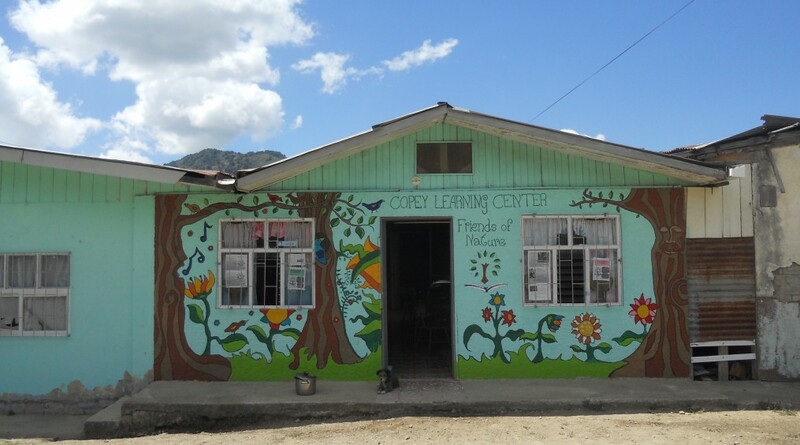 We were successful raising the $200.00 we pledged to support some of Lorena’s (Mariana’s mother) travel cost to accompany her daughter on the trip to Limon, Costa Rica, where the National English Festival…aka “Spelling Bee” is being held tomorrow. The response time for some funding support was very short and in typical fashion, enough “Friends” responded to make the deadline. Now, we only have to wait to hear the final results. We all are pulling for Mariana to bring back to Copey the National Championship for the entire community to share. As most are now aware, we have another tragic event to endure involving the senseless killing of innocent people. Our prayers and condolences extend to those closest to those who lost their lives and were injured yesterday. I pray we keep mindful there is evil ever-present…but so is good all around us. Evil finds a home among those who lack a positive purpose in life, fail to see in most cases there is a choice to do good or evil, and do not understand the same energy that is required to take a life can be used to help a life. God be with us all! Jane’s Quote for the Week! This very young student is benefiting from an early start on becoming familiar with the English language. But, it is much more than that. It is the relationship and the sense of being valued outside of the immediate family…it is the impact of a student/teacher relationship that can last a lifetime. The flower Jane received was only a symbol of what the little girl feels inside. It is also a symbol representing what many Learning Center students and the community feels about all the support “Friends” provides. “Friends”, do you realize how much positive impact your interest is having on both the young and old in Copey? “Friends” has officially submitted its application to an organization we want to become a partner with us on our journey to help build a replacement facility for the current Learning Center. Without question, this is an extremely important time for us as we wait for some response. I am calling on all “Friends” to take a minute this week to say a prayer for a positive response. We know “Friends” can make a difference in the outcome of our efforts. For those “Friends” more inclined to be great “positive” thinkers, please also join in. Together, we can all impact in a positive way the outcome as we have done many times before, especially by accomplishing results many thought unattainable. Please take a minute this week and become involved in this important decision on our application. This is one of those “sun standing still” miracles I mentioned in last week’s Post. ← The Sun Stood Still…!